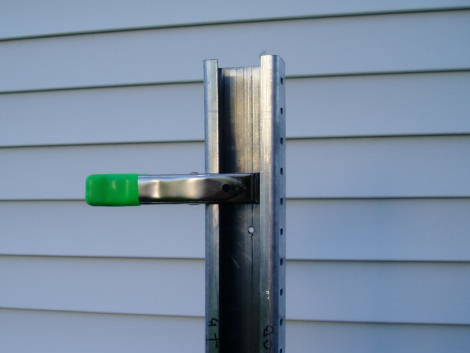 Installation Instructions for Vertical Fence Pickets. 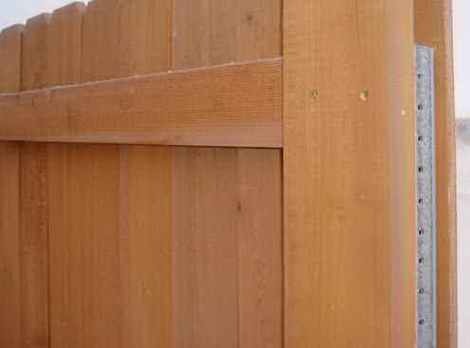 Instructions for a Vertical Picket Fence. Install the posts with the open C-channel parallel to the fence line. Let the concrete or foam set up thoroughly before building the fence. 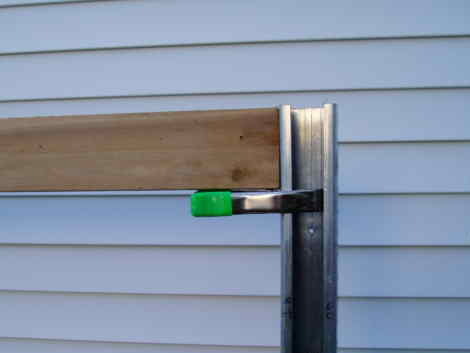 When installing wood pickets vertically there needs to be at least two horizontal rails or stringers. Full-cut cedar rails are recommended. 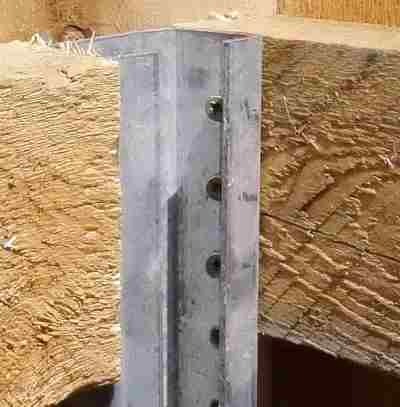 The VersaPost is designed to have the screws installed at an angle across the grain of the 2 x 4 wood stringer. 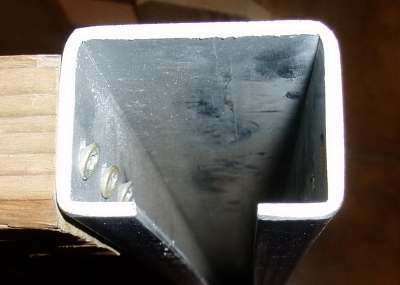 This type of attachment results in a very strong bond between post and rail. No brackets are required. Our Installation Video shows how to install the VersaPost with vertical pickets. It is absolutely essential that the stringer has a flat surface to rest on. Place one spring clamp on each post at the proper height. It only takes one person and two clamps to install all of the stringers. Cut the stringer to the proper length and place it on the clamps. The stringer will balance on the flat upper surfaces of the clamps. Fasten the stringer to the post with screws inserted through the opening in the C-channel. 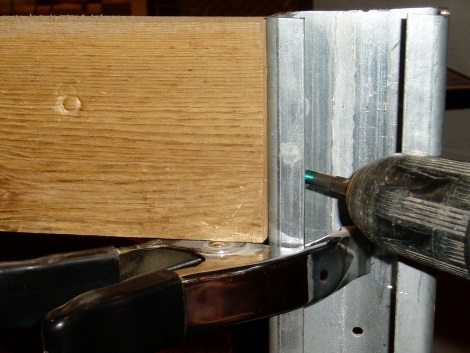 The screws are attached at an angle across the grain providing an extremely strong bond between stringer and post. Attach the pickets to the stringers on either side. The post can be covered using an additional fence board, made to look like a 4 x 4 wood post or even be disguised as a black steel post. End, corner and gate posts can also be covered easily. Corner posts require no special clips or brackets. Attach the first stringer (on the left) in the usual manner. Attach the second stringer (on the right) at a 90 degree angle. Install the pickets (in the background) to make the corner. 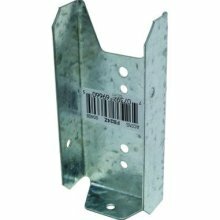 2 x 4 brackets are used only when access to the open C-channel is not available. This may happen when the post is installed next to a building or other structure. These brackets are fastened to the side of the post and will hold the rails.